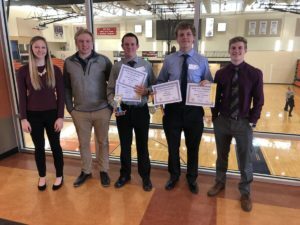 The Bishop Neumann Future Business Leaders of America (FBLA) organization is proud to help students excel in the business field by hosting meetings once a month where we will perform tasks through out our community and our school. We will also go to competitive events to have our students compete amongst thousands from across our state, and possibly our nation. The benefits of an FBLA membership are business proficiencies, community responsibility, leadership skills, and self-confidence. FBLA is the national organization for all high school students enrolled in business and office programs. 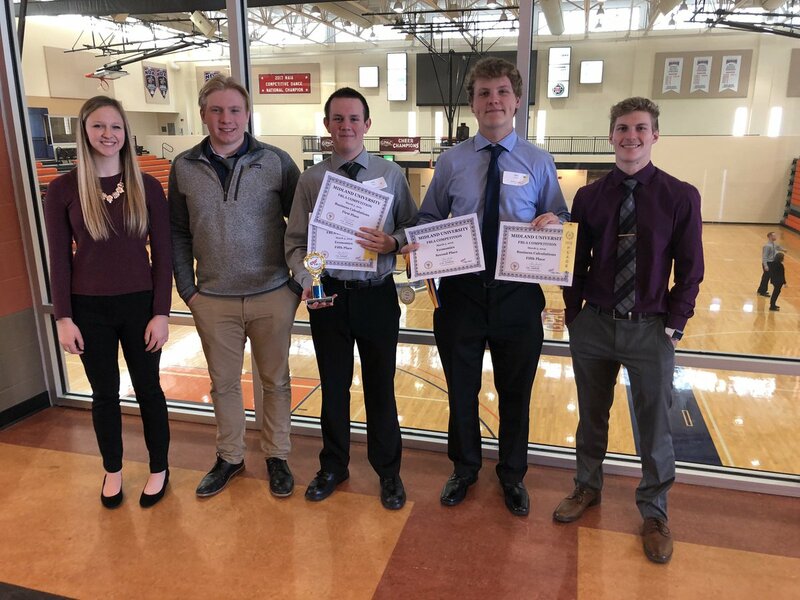 Selected activities and supervised projects involve students in cooperative school community-business tasks on the local, state, and national levels. Members can participate in an annual state and national conference and leadership workshops, visit other chapters, business and industrial enterprises, and come in contact with a number of successful business men and women. FBLA Sponsor: Neumann Business teacher Mr. Taylor Schlautman.